In today’s extra special episode, A leading authority on the subject of mother-care, a social worker, certified pre/postnatal fitness trainer, author, and speaker, Dayna Kurtz joins the Reading with Your Kids podcast to talk about her new book, Mother Matters: A Holistic Guide to Being a Happy, Healthy Mom. Dayna’s book is a very informative, concise book with specific suggestions for the new mom. A MUST FOR A BABY SHOWER GIFT!! In this juicy episode of the podcast, you’ll learn what inspired Dayna to write this educational and helpful book for mothers. You’ll learn more about Post-Pardum depression and how Mother Matters can help you come out of it and become a stronger and a healthier mother of your baby! Dayna M. Kurtz, LMSW, CPT, is a leading authority on the subject of women transitioning to motherhood and serves as Director of the Anna Keefe Women’s Center at the Training Institute for Mental Health in Manhattan. She is a licensed social worker and NASM (National Academy of Sports Medicine) Certified Personal Trainer with an additional certification in training pre- and postnatal clients. Dayna is the author of The Female Body Fix and a contributor to The Doctor’s Book of Natural Remedies (both published by Rodale, 2018). Dayna also serves as a Real Answers expert on TheBump.com. 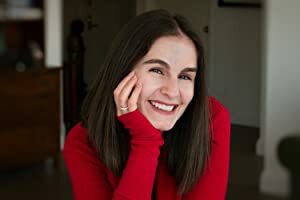 She has written or been consulted on articles for the websites of The Today Show, Pregnancy & Newborn, Pop Sugar, Big City Moms, Pregnancy Corner, and WAGmagazine among others, and writes the Mother Matters blog for the Huffington Post. A sought-after speaker, Dayna regularly presents on the subject of Mothercare. She lives in New York City with her family. Millions of mothers are born each year. From the moment a baby is born, the world seems to focus on childcare, but what about Mothercare? Enter Dayna Kurtz, the brains behind Huffington Post‘s Mother Matters blog. From postpartum depression and “baby blues” to healing meals and postnatal exercise, Kurtz guides new and veteran mothers alike through the best practices to care for themselves during their first year of motherhood. Her unique approach also includes less common methods like acupressure, expressive arts therapy, and more to help mothers boost their mental health and reclaim their identity. Backed by irrefutable research and personal anecdotes, Mother Matters is the guide every mother needs to not only survive but thrive! Click the Amazon link below to grab your copy of Mother Matters today! What does she mean by Mother care? Are you trying to fight Post-Partum depression? Listen in as Dayna has some wonderful advice on how her book can help. More about how her book can help make motherhood a joyful experience for all the new mothers. What is Dayna currently working on, a message they would like to share with their readers and much more. A big thank you to Dayna for joining us and for sharing her wonderful book with us! Finally, Where Can We Find Dayna Kurtz Online? PreviouslyIt’s Time to Meet Itty Bitty and her Nana!! Read NextWelcome to the The Land without Color!! !